What this vegetarian cookbook is not, is a compilation from other cookbooks with the meat dishes left out, and a little porridge and a few beans and peas thrown in just so the book can be called vegetarian. Some vegetarian cookbooks contain just a lot of puddings and sweets, which certainly are vegetarian, but which can be found in any ordinary cookery book. What many vegetarians are looking for is a cookbook that will provide something to take the place of meat, and which, while also nourishing, shall at the same time be palatable. This is what the present book aims at doing. 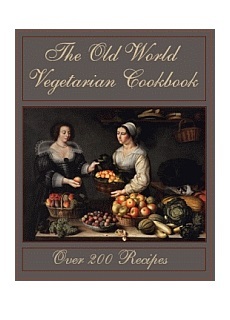 This cookbook contains 221 vegetarian recipes, recipes which have been carefully thought out and tested by the author herself. Many of them are as nourishing, weight for weight, as ordinary dishes made with meat.